More people describe themselves as a Growth Coach and I wonder sometimes what they think the term means. For me, there are times when the words Growth Coach mean the same and for others that the words are completely opposed. The coach deploys their experience to constructively challenge the problems faced by you so that you can find the best solution for yourself. Not just faster, but here is how. A coach listens, observes, questions and enables you to act while considering the environment you need to perform best in. Practice creates habit and immediate action at times of highest stress or peak performance. A honer of performance, the coach focuses, exercises and refines your proposed action so that it flows smoothly and is systematic. Limited resources are deployed at key points to provide the boost that enables the whole activity to be completed successfully. A coach understands the importance of mental approach. So he provides the basis for motivation and its twin confidence. Together you can deploy these in action. And after the action reflect on what is different or could have been done differently, to achieve a better result. It’s not just the coach understanding but also through role plays, joint analysis, hard questions and joint explanations that you understand more and so are better prepared. 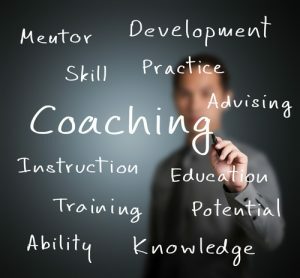 A coach enables you and others to perform better by making you ask the questions that lead to those consistent improvements and attainment of your goals. Are Growth and Coaching The Same? So are growth and coaching actually the same thing? Coaching presumes growth and improvement. We often assume that coaching is of itself good. Few people would pay a tennis coach to make their game worse! We also recognise that as we develop, we may need more specialist coaches based upon their experience and knowledge. With a Business Growth Coach, a word is left out. The word is ‘fast’. Any competent coach should be able to make your business grow in turnover, people and profit. Ideally it’s all three. What most coaches can’t do is to enable you to face the multiple challenges of a fast growth business where the order of increase is 10-20%+pa. A Growth Coach recognises that the best solution today may not be the best solution for tomorrow. But without this action today, tomorrow may not happen. Or alternatively today is the day for a system or process to be created to fuel further efficiency and growth. High growth always means resource constraint and the need for flexibility whether that is people, money, premises. In this respect it has many similarities to crisis management where loss stemming is required. Some coaches are specialist at high growth support. But some so-called Growth Coaches are oxymorons. Aside from me liking the word, what do I mean. Oxy to me implies a fuel while moron is the foolishly putting more fuel or the wrong fuel on. a calm head that supports and constructively criticises to continually address today’s crisis and longer term strategic needs. Not every Growth Coach can manage that critical balance in a fast growth environment so choose wisely. ← Why Have a Business Strategy?